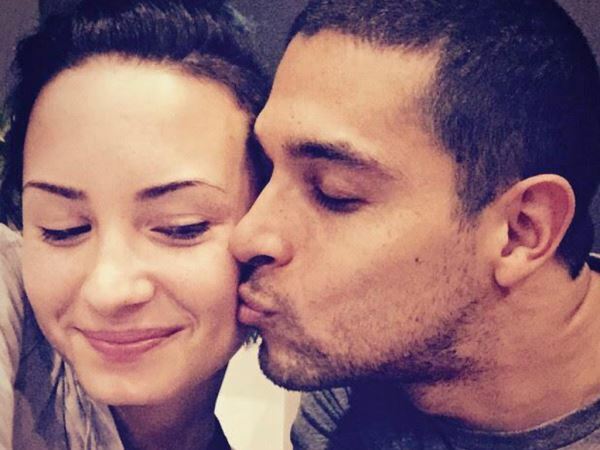 Wilmer Valderrama says Demi Lovato is an incredible role model. The former That 70s Show actor surprised his girlfriend as she hosted the inaugural Lovato Scholarship Benefit fundraiser on Wednesday night. Despite Demi telling the audience earlier in the evening that her “heart is broken” that her beau couldn’t attend her big night, Wilmer reduced his girlfriend to tears when he jetted in from Canada especially for the event. Making his way onto the stage, much to the amazement of Demi, Wilmer toted a giant cake which he presented to the 22-year-old star. As Demi struggled to control her emotions, Wilmer opened up about his love for the singer in a speech to the audience. Following Wilmer’s touching tribute to his girlfriend, the couple walked off stage hand-in-hand, with the excited audience chanting ‘Dilmer’ in honour of the pair. Demi’s benefit was to raise funds for the Lovato Treatment Scholarship. The multi-talented singer and actress set up the scholarship to “cover expenses for individuals struggling with mental health and/or addiction issues”. Famous faces who attended Demi’s fundraiser included Khloe Kardashian and Joe Jonas.